How Outbound Lead Generation Services Works? Want to generate leads by outbound method? But first of all, you should be familiar with how outbound lead generation services works. There are many companies who are helping businesses in generating outbound leads. Many sales professionals believes that outbound leads generation don’t work in today’ scenario when there is huge scope of inbound. But you are missing lots of opportunities if not putting money for outbound lead generation services. Although, the success purely depends on selecting the right outbound lead generation services provider. The success mantra is “if you are coming to right people on right time with solution of their problem, then the deal would be yours.” So, the exact targeting is the main criteria for sales growth through outbound method. Some companies takes the entire responsibility of generating leads. While some companies provides data to generate leads. In this marketing method, connecting with right companies is basic criteria to get qualified leads. Fundoodata is one of the leading provider of corporate information database. The company is helping businesses in generating leads by connection them with the right decision makers. Every company who is going to do outbound marketing, first they should define their buyer persona. It would help them creating the list that would generate the qualified leads. So, company needs to work from their own end before acquiring database from any trusted source. They should put their sales team into the defining different segments of buyer. One the segment is defined, find out the right contact points. It can be sales , marketing, admin, purchase and hr department. Connect with the decision maker of one of these department as per the business goal. 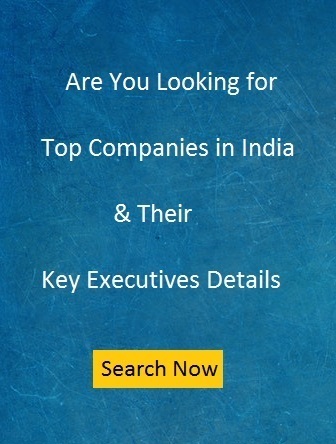 Fundoodata.com is providing contact details of top level executives of all these departments of all top Indian companies. It would be helpful to connect them through mail. An effective email is a tool to create brand awareness about the product and services you are offering. The email should contain the tone of informing rather than selling to enter the customer on the top of the marketing funnel. Let them come into consideration stage by sending followup mail.